The Canadian Francophone Games (Jeux de la francophonie canadienne) were held in Monton-Dieppe, New-Brunswick, on July 11-15, 2017. The ODBA was very well represented with Kalie Rhéaume (Ra Centre), as a member of Team Ontario. In girls singles, Kalie remained undefeated and won the gold medal! 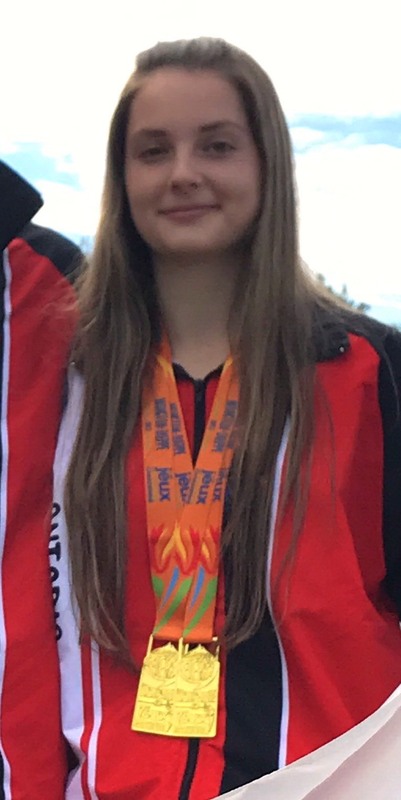 She also won the gold medal in mixed doubles, with Gabriel Pharand of North Bay. The athletes were only allowed to play in singles and in one doubles event. It's the first double crown in badminton for Team Ontario in the history of these games!